LATEST NEWS Updated Date 19.03.2019 :- Now Indian Army Has Made Compulsory To Have Mathematics Subject In 12th Board. Candidates Can Check More Information From Image Given Below………….. In Rally, Ex Serviceman & Retired Soldiers of Other Regiments, Legally Adopted Children & Meritorious, Best Sport persons can also take part of any other state. Candidates should have to bring Following Documents along with themselves to Participate in Recruitment Rally………………….. NOTE:- This Recruitment Rally is Totally Free. Candidates don’t have to give any Application Fee. 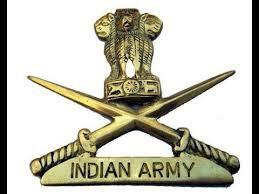 NO Faker Or THUG can provide Recruitment in Army, So beware of them & Don’t give any fee to them. If any Office Man ask for money, candidates need to report about him to officer in charge. Candidates are advised to not produce false documents to the Rally, otherwise they will be handover to Police. Candidates can bookmark us WWW.JOBRIYA.COM to get the latest job alerts regularly. We will update you with every upcoming job and its Information.